This is one of our most unique wedding gift ideas. 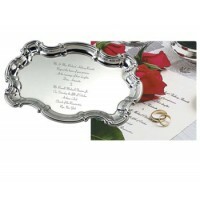 The Wedding Invitation Tray can capture that special day forever and be engraved with your actual wedding invitation! Our expert engravers will do their best to match the font (or a reasonable facsimile) and style of the invitation up to 12 lines horizontally or up to 14 lines vertically. 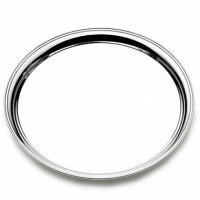 We can engrave a beautiful pewter or silver tray horizontally or vertically. 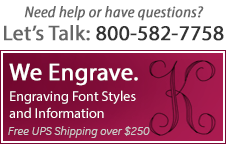 To order, feel free to call our friendly customer service department at 800-582-7758 or place your order online. Afterward, please send a copy of the actual invitation either by fax at 1-540-942-7272 or by email to service@silvergallery.com. Please reference the confirmation number for your order on the fax or in the subject line of the email. The engraving takes approximately 7-10 business days before shipping. 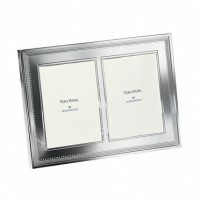 The Wedding Invitation Tray makes an incredible presentation. 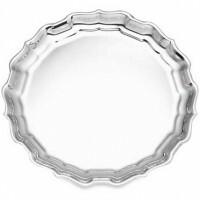 Empire Round Sterling Silver Presentation Tray - 11"
Reed & Barton Sterling Silver Classic Chippendale Tray - 12"
Reed & Barton Sterling Silver Classic Chippendale Tray - 14"